If vous are like moi"”and I know you want to be"”then you have no doubt spent lots of time daydreaming about what your wedding day will be like "“ the cake, the music, the food, the guests, the cake, the presents, the cake and, oh yes, the groom. But you may have overlooked that most important aspect of that most wonderful and auspicious day: you! That's right: You are THE BRIDE! And your wedding day is the one day of your life when you get to be THE DIVA and tell everyone what to do "“ and they have to listen! I love it"¦and you will, too! YOUR WEDDING REGISTRY- I know, this comes before the actual wedding day, but your wedding is the day the loot"¦uh, gifts"¦come rolling in. Remember to register wisely. When else will you be able to hand a list of desires to people you hardly know and have them show up gift in hand! Pinch moi, I'm in heaven! YOUR WEDDING DRESS- The ultimate moment in personal couture! Your wedding dress should make a statement. And I believe that statement should be: "HEY EVERYBODY, LOOK AT ME! I'M THE BRIDE! " Your wedding day is not the time for subtlety and nuance- go for it, sister! YOUR WEDDING PARTY- These are your best friends in the whole world (as well as some A-listers you really owe favors to, or simply need to butter up for future favors). They are here because they love you. They are also here to protect and defend you. You see, as the bride, you want to be seen as lovely, charming and demure- but sometimes heads have to roll. A bride should never be rude, that's what your Bridesmaids are for! And if they're your friends, they're probably pretty good at it. I could go on, but I'm off to sample some possible wedding cakes! In the meantime, remember: It's YOUR wedding day, be the DIVA! PS: Want to avoid all this planning hassle? Then get in touch with Disney's Fairy Tale Weddings & Honeymoons. They have a dedicated team of wedding experts who will do all the planning for vous! Hey, it's your day! Let them do all the work! 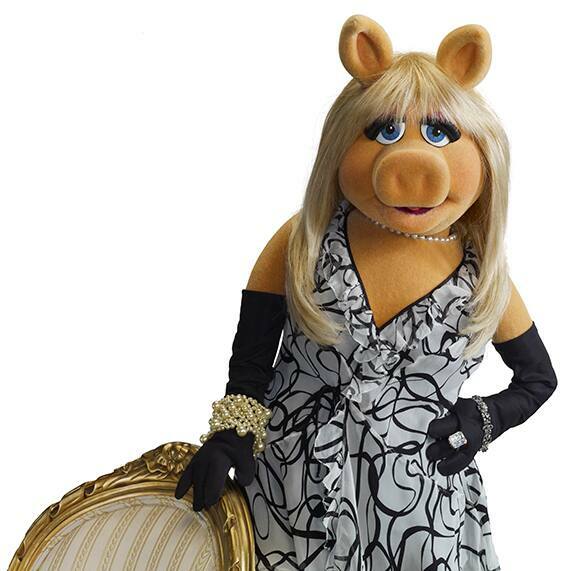 PSS: See Miss Piggy put her wedding planning tips to use in Muppets Most Wanted, in theatres March 21st!